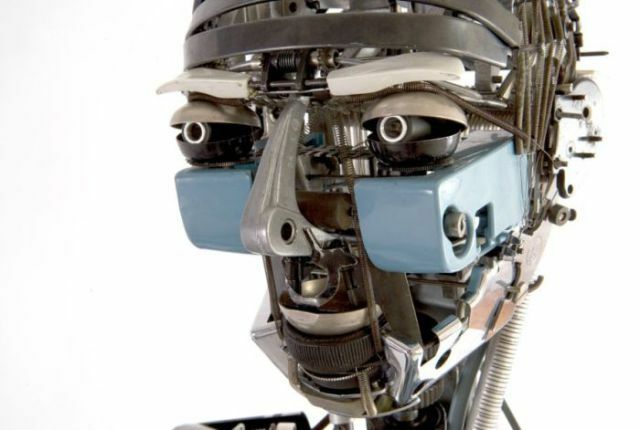 Jeremy Mayer disassembles typewriters and then reassembles them into full-scale, anatomically correct human figures. He does not solder, weld, or glue these assemblages together – the process is entirely cold assembly. 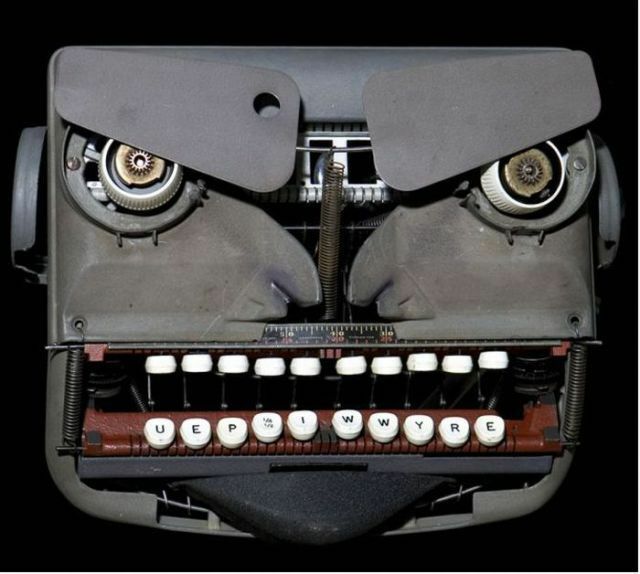 He does not introduce any part to the assemblage that did not come from a typewriter.